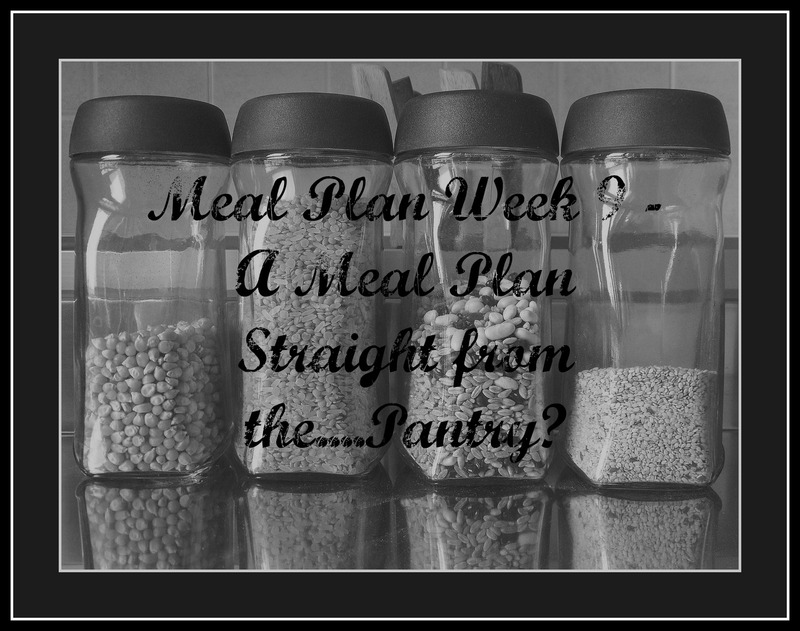 Meal Plan Week 9 – A Meal Plan Straight from the….Pantry? – Torah true mothers, living life together. Torah true mothers, living life together. Meal Plan Week 9 – A Meal Plan Straight from the….Pantry? With Pesach creeping up fast, I’ve finally begun going the annual “spring cleaning” that accompanies Pesach cleaning. Perhaps it’s the mindset of the “keep or toss,” and perhaps it’s the lack of extra time to come up with creative dishes, but this week’s meal plan is all about pantry living, and loving. Have i mentioned I love having a pantry? Growing up my mother’s pantry wasn’t just a cupboard, and even a closet. It was shelves and shelves of stocked up non-perishables. Neighbors and friends would joke with her about whose door would be knocked on first in case of natural disaster and a food crisis. Deals were carefully sought out, containers sealed against possible intruders, and you could find anything you needed. So naturally, an Ikea bookshelf turned cabinet was one of m first purchases as a newlywed, and it became my pantry. Years later, I’m still appreciating that stock, honing and revamping systems within. Now, before Pesach, it all comes out – every food in there, as I check expiry dates, and try to use up what chametz I can before the chag. It’s time to use it all up. And so I bring you…. Shabbos Dinner – Chicken soup, veggie packed meat sauce (both from the freezer), ruce pilaf (pantry), green beans, beets, birthday cake! Sunday – Leftover rice pilaf (pantry), green beans, and beets. Monday – Noodles with baked beans (pantry), peas. Tuesday – Homemade mac and cheese casserole (pantry) – by special request of the little guy, and sliced cucumber, with cantaloupe for dessert. Wednesday – Lentil soup (finally used up my pantry stock of ageless lentils! ), and paprikash potatoes with hotdogs (stay tuned for The Only Dish I Buy Hotdogs for). Thursday – Lentil soup and mac and cheese casserole. What system do you have for ensuring pantry items are used up on a consistent basis? Please share in the comments below!